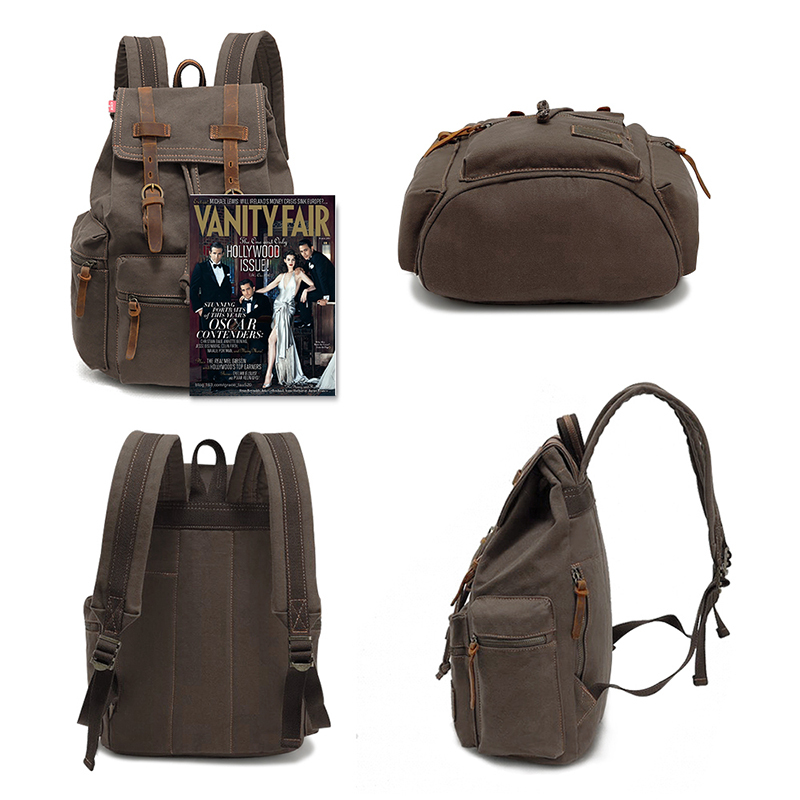 SPACIOUS AND VERSATILE: This large duffel bag backpack has an approximate length of twelve inches, width of three inches, and height of twenty inches (16 x 18 x 9 inches). 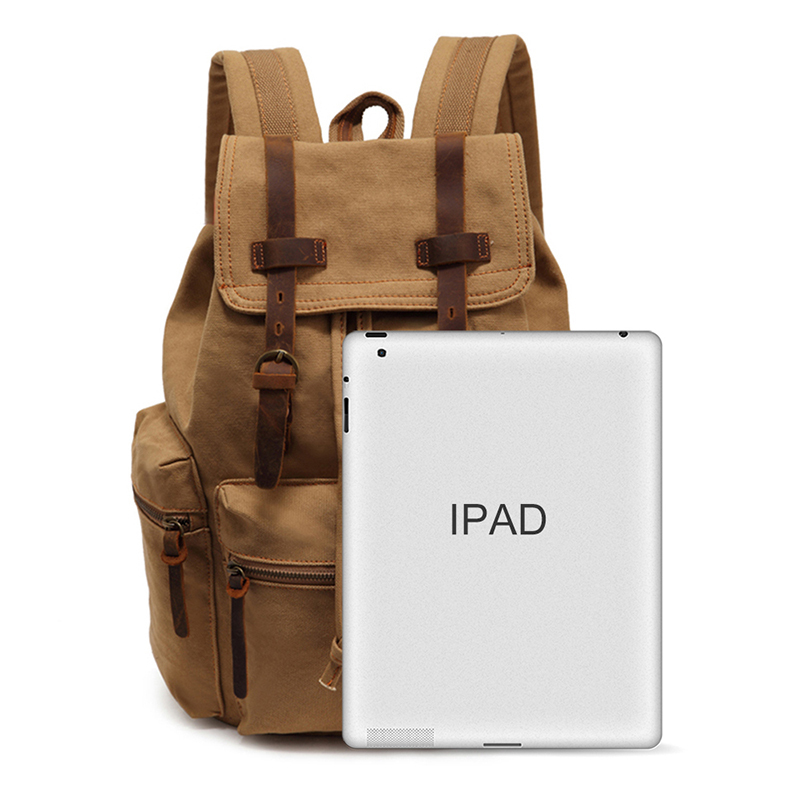 Big enough to fit everyday essentials such as a 14-inch laptop, notebook, book, iPad, lunch, camera, shaving equipment, garments, or other accessories that you need. 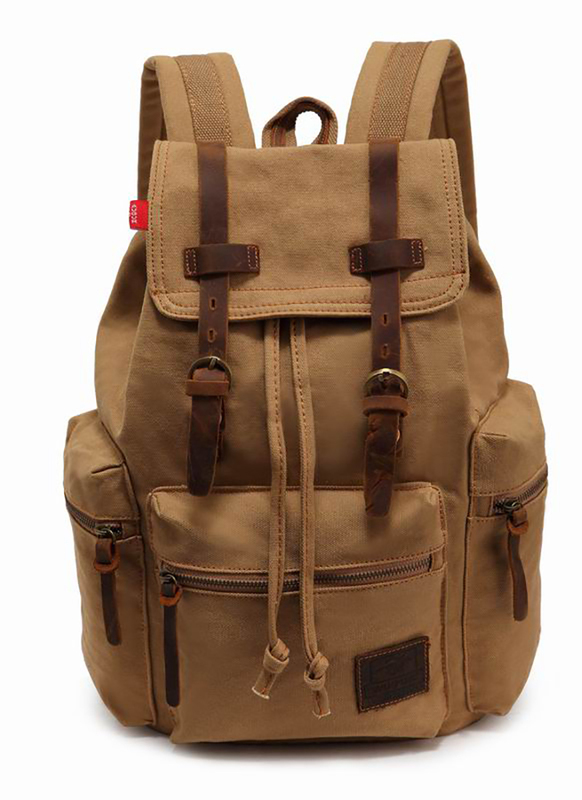 HIGH QUALITY MATERIALS: Our Gearonic TM field bag is made with premium quality high density durable canvas fabric and genuine leather, this sturdy bag features a classic yet stylish button closure flap over design, vintage brass hardware accents, adjustable and comfortable shoulder strap, and multiple pockets to keep you organized. 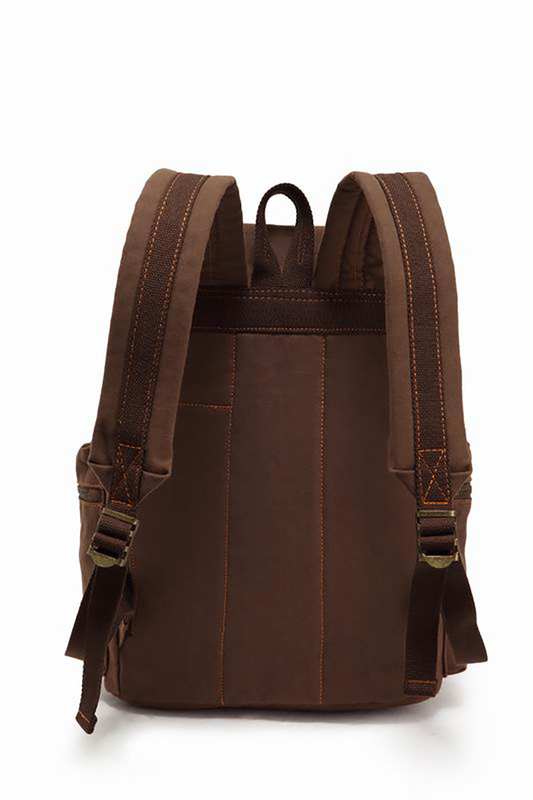 MULTIPLE CONVENIENT COMPARTMENTS: This Woosir backpack bag has two (2) side pockets, one (1) front pocket, one (1) large compartment with two (2) small compartments inside. 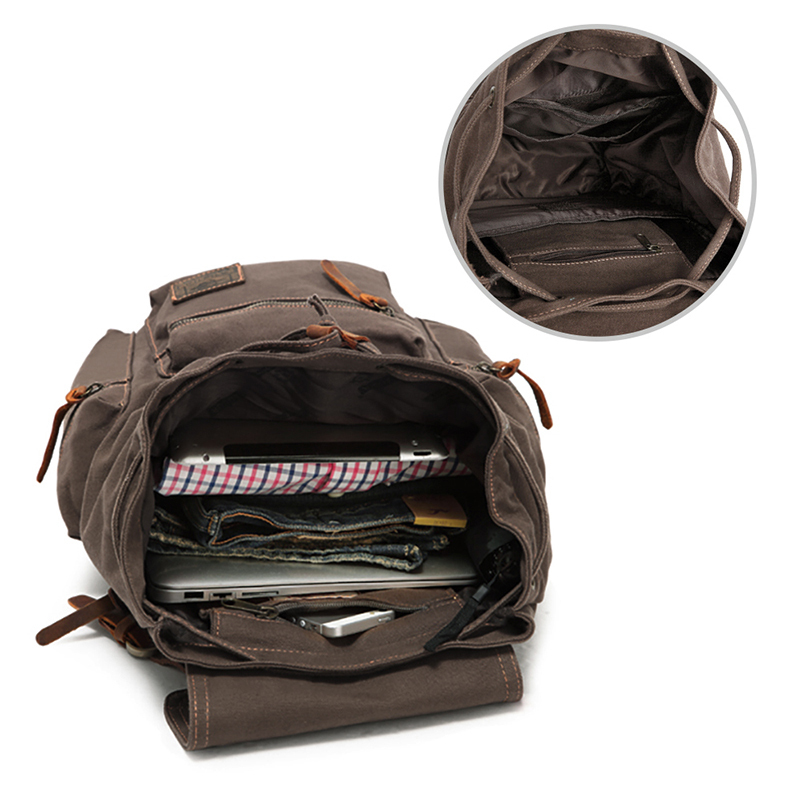 The spacious main compartment with drawstring closure under flap offers plenty of space to hold a number of things such as laptops, books, tablet, camera, notebooks, or other important belongings for all day use conveniently. 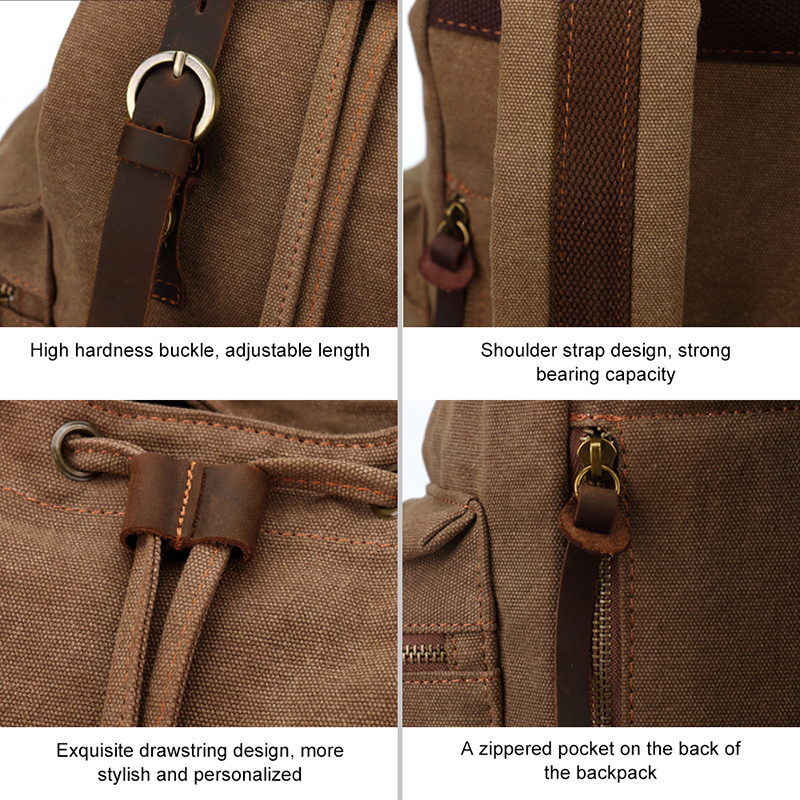 The smaller pockets are best for small accessories such as cell phone, keys, water bottle, case, etc. 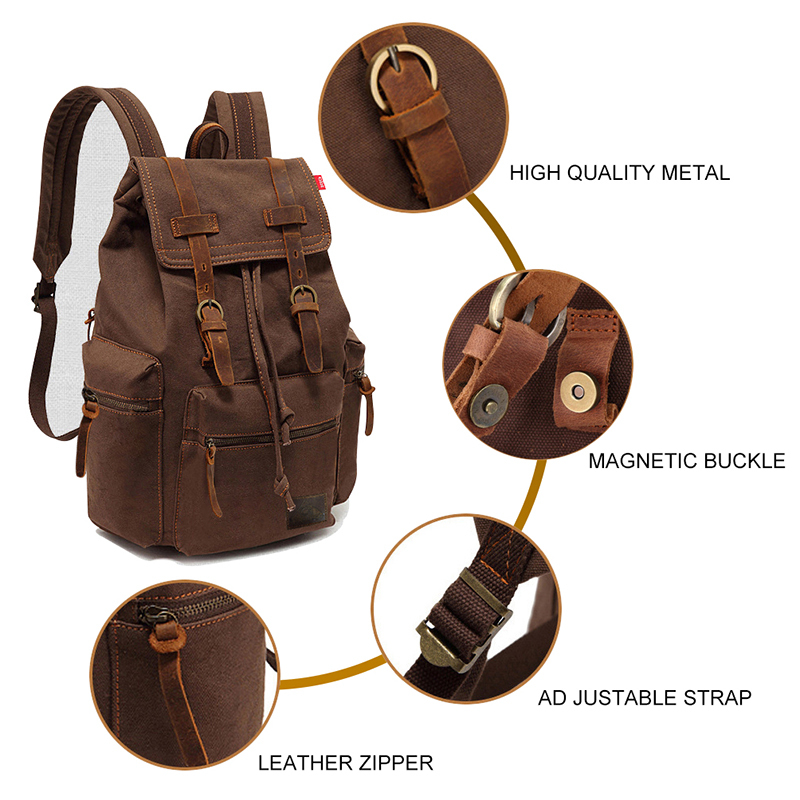 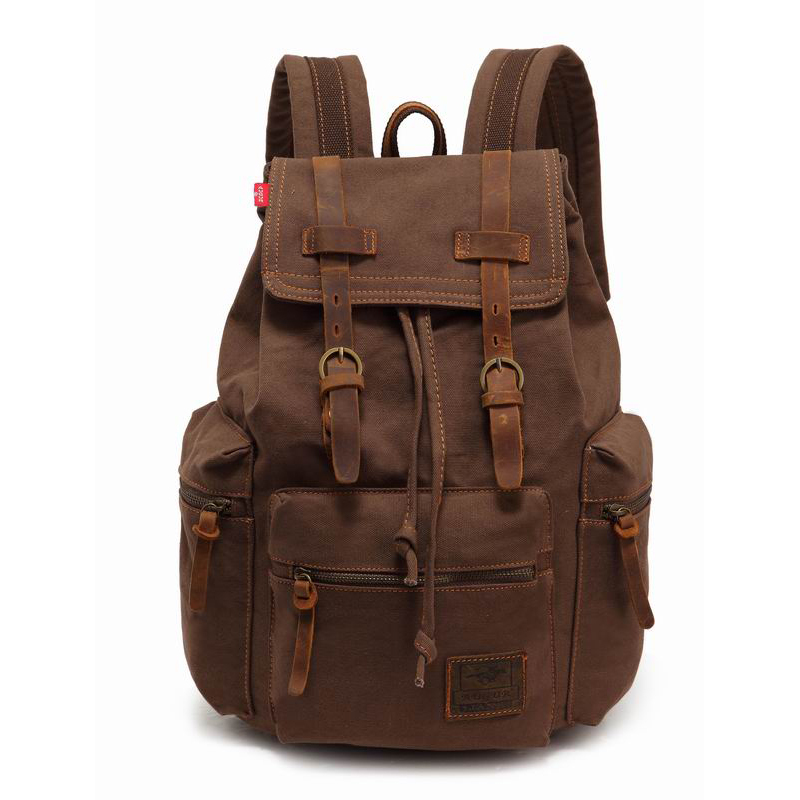 MULTIPURPOSE, GOOD FOR ALL OCCASIONS: A great Rucksack for hiking, camping, traveling, school, outdoor activities, or take it to work, office, school, or other indoor activities; It is also a perfect school bag or bookbag for men, women, teens, girls, boys, college students. 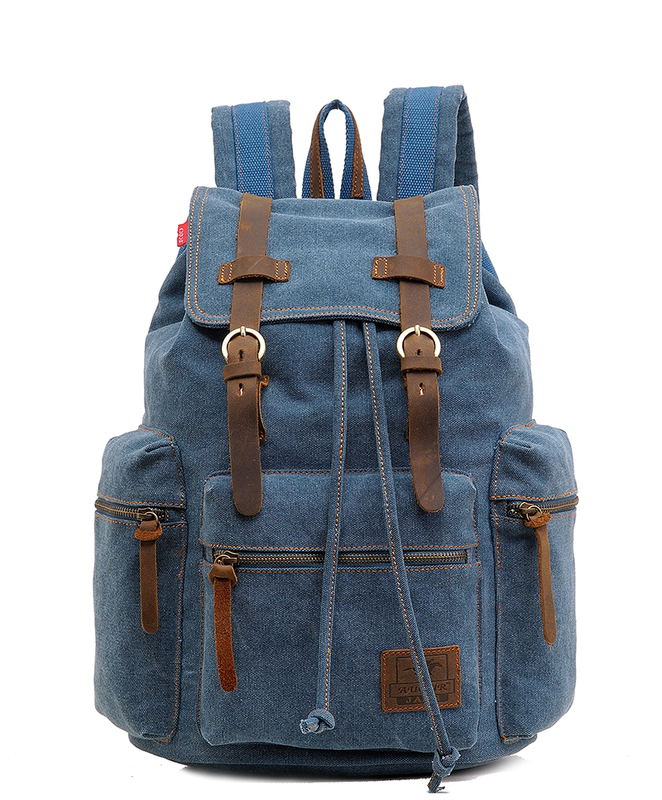 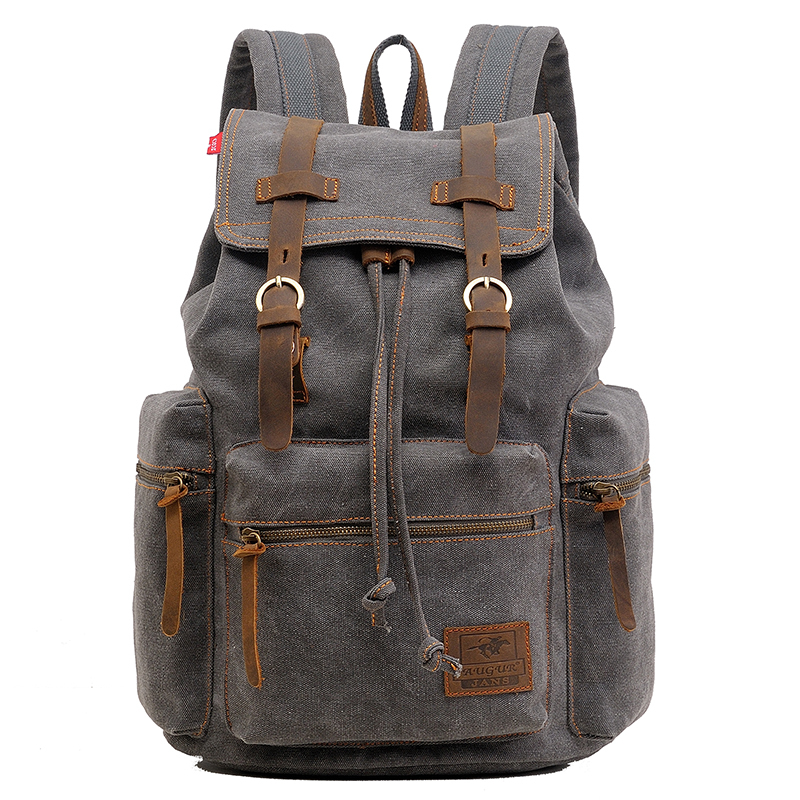 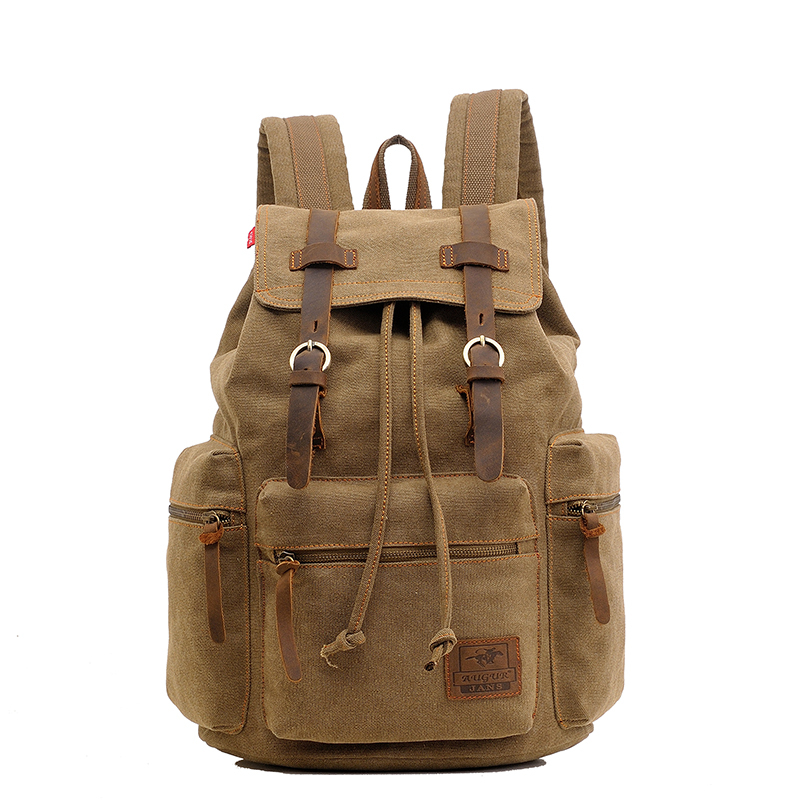 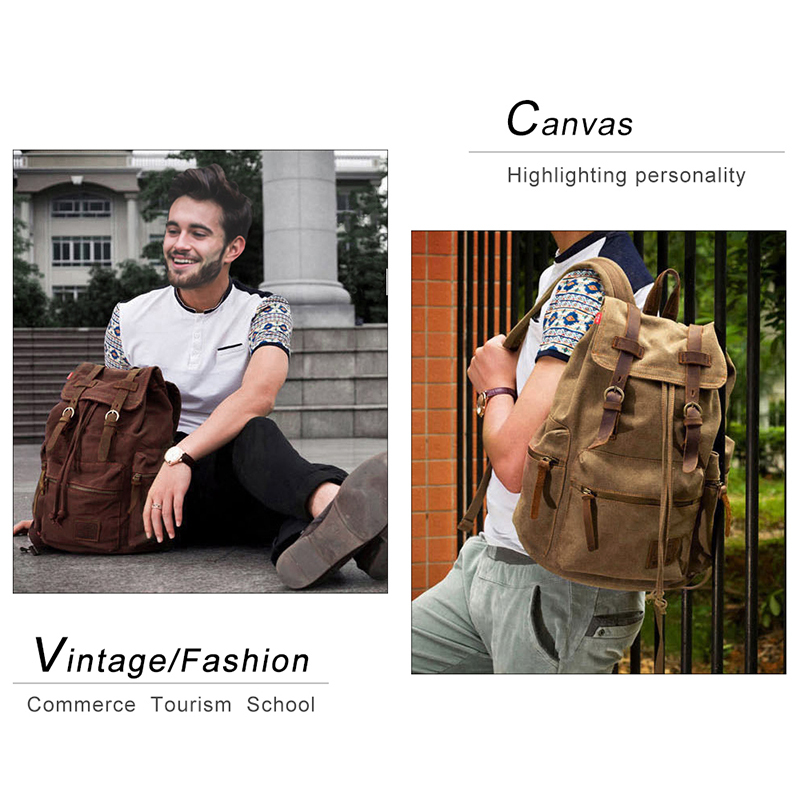 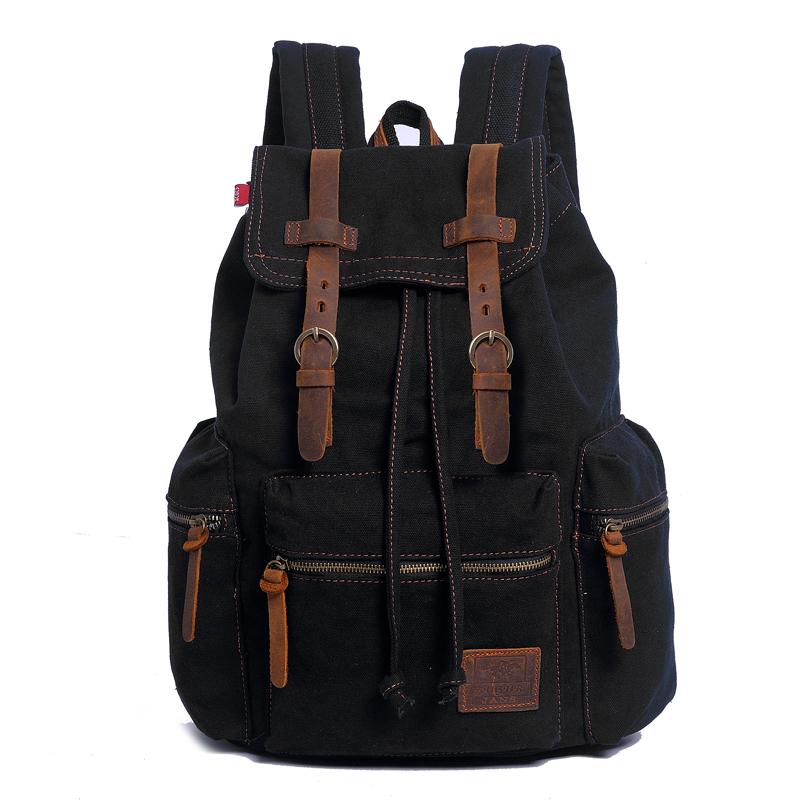 Unisex design High Density Canvas Backpack, Rucksack, bookbags, or School bag for man, woman, student, and people of all ages.